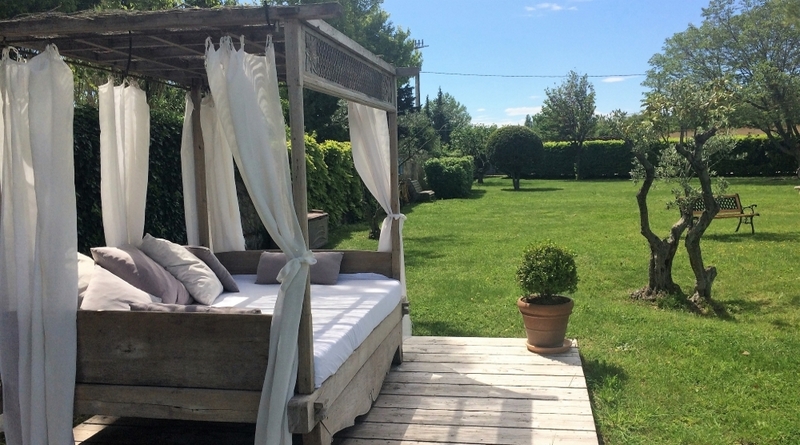 Sandra and Christophe settled in the heart of Provence in ’08 and gave their lives a completely new twist after having lived in Belgium for all their lives. 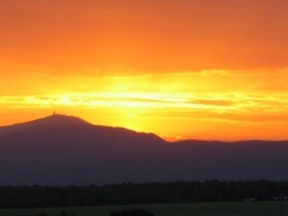 L'Eté Indien is within walking distance of charming Monteux, located in the triangle Mont Ventoux, Avignon and Luberon. Your stay is a more than 200 years old character house on a plot of 3000m2, completely walled and surrounded by countryside. 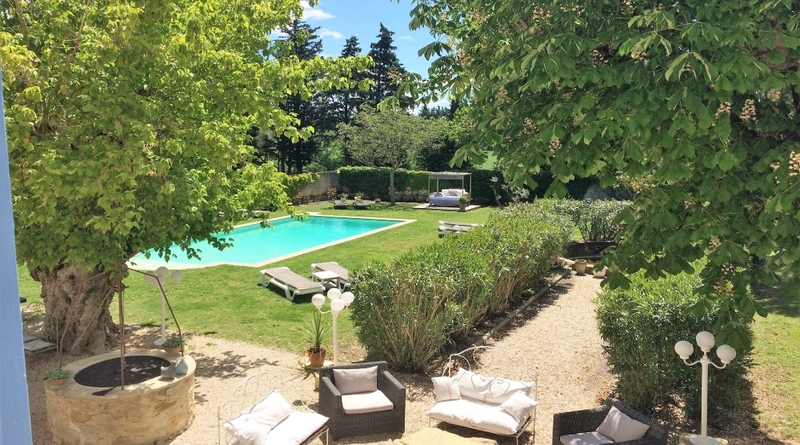 L'Eté Indien has 5 carefully restored rooms as well as a gite, all overlooking the garden, swimming pool or surrounding fields. 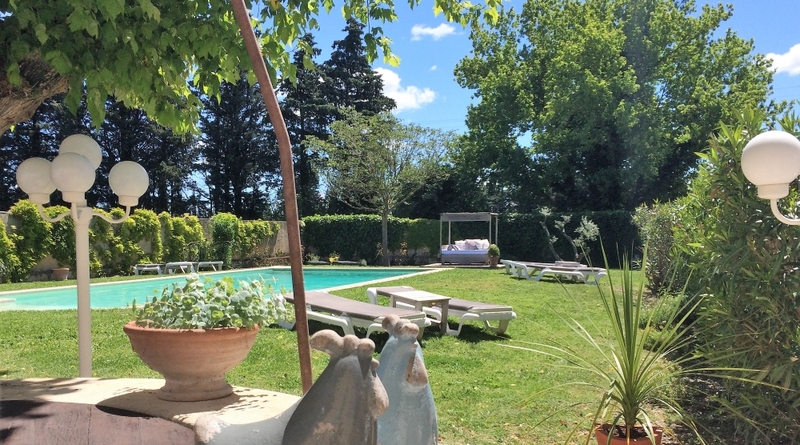 The house is south-facing and enjoys a whole day of sun! 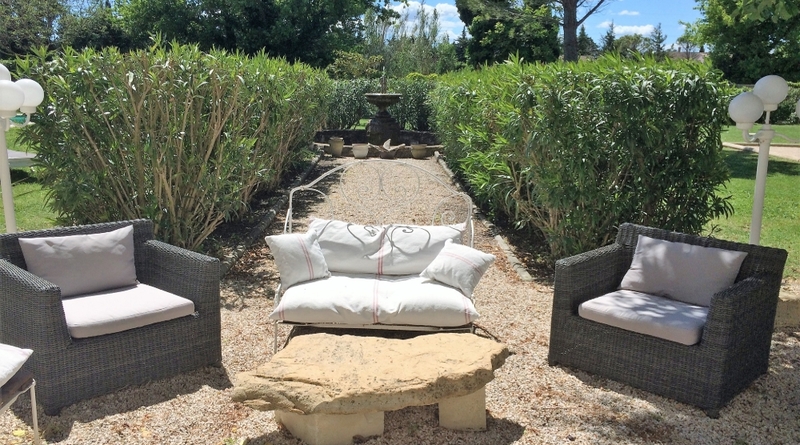 In our spacious garden decorated with authentic elements, everyone will find his spot! Under the 300-year-old maple, at the fountain, on the romantic benches, in a leafy corner or in the Balibed. Our sun-drenched swimming pool is heated and allows you to enjoy a pleasant water temperature of up to 28°, even in spring and autumn! 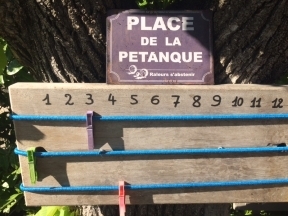 On the petanque court you can exchange thoughts with the other guests and you will toast on the past day! In the morning a delicious & extensive breakfast buffet awaits you. This is served on the spacious sun terrace or in the pleasant dining room if cooler weather. Live as God in France is not a hollow phrase in ‘Eté Indien! Hospitality and a relaxed atmosphere are not taken for granted in its smooth setting! 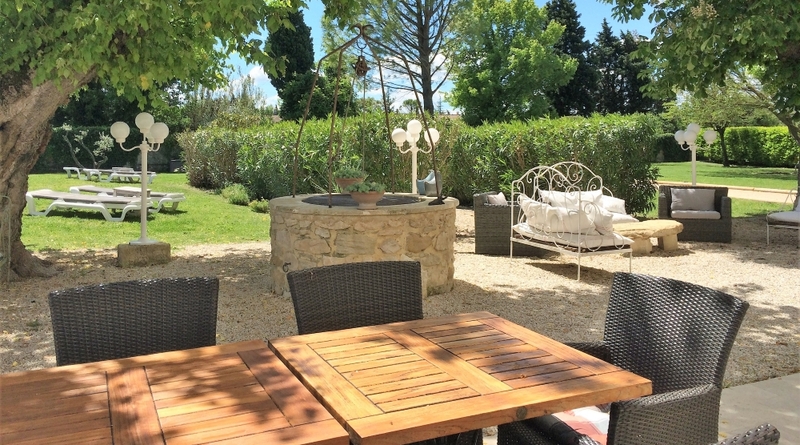 At a stone's throw from the Mont Ventoux you can step out of the rat race for a while as we offer you relaxation, steel blue skies and Flemish hospitality. The closed domain provides ample and safe parking for all cars. A separate garage for bicycles and motorbikes is also available. In our dining room you have satellite TV and free wireless internet.